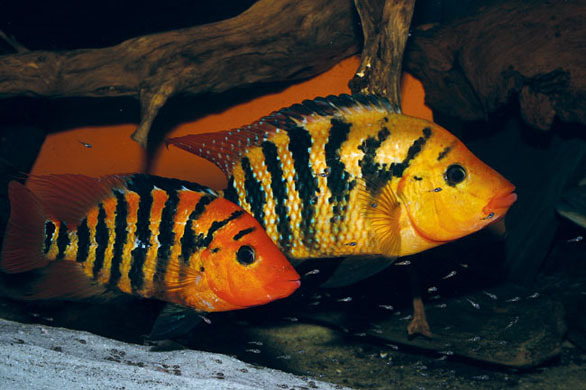 “Cichlasoma” festae pair with fry. Image: Thomas Weidner/Amazonas. Breeding: Females can lay more than 3,000 eggs in a nest that is usually created in a cave or amongst rockwork. Even experts consider them a challenge to breed because they are so fiercely territorial and aggressive that deaths can occur during attempts to create pairs. See the January/February 2014 Issue of AMAZONAS for more on the genus “Cichalsoma”.